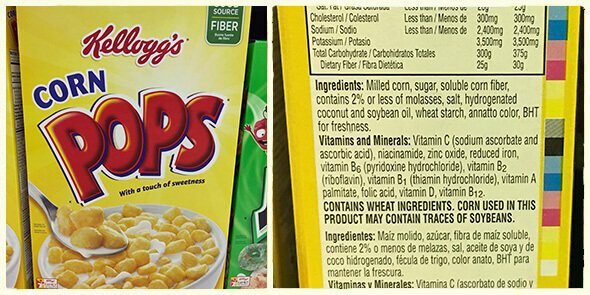 Home » Blog » What’s in your cereal? Finding “real food” boxed cereal is not the easiest thing to do! But I know not everyone is looking for perfection so today I’m going to give you the low down on some of the bad, better and best options that are out there. Our personal favorite cereal is homemade granola, but we do buy boxed cereal on occasion for the kids or house guests. 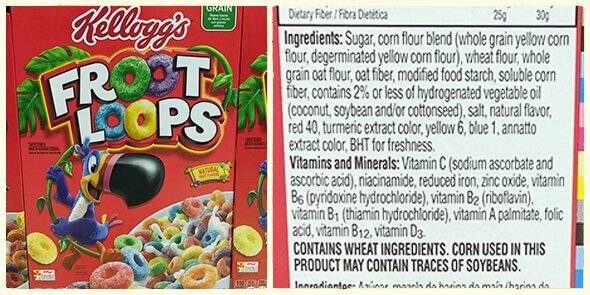 If the cereal looks neon in color or contains artificial sweeteners (or flavors) then just move right along. This one is a non-negotiable for me! 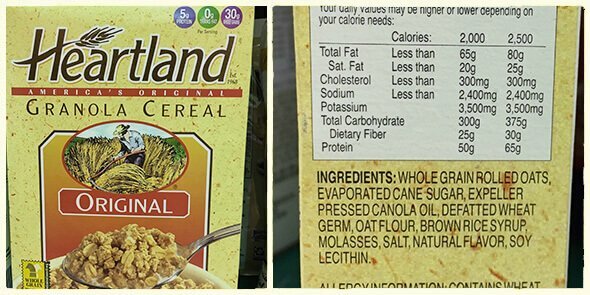 Is the cereal 100% whole grain? Or does it at least contain more whole grains than refined grains (i.e. 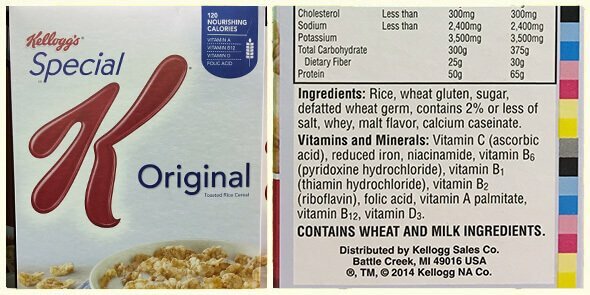 what’s listed first on the ingredient label)? 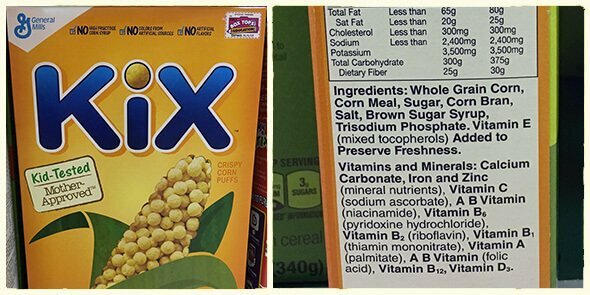 Does the cereal contain added refined sugar (listed under a variety of names such as cane juice, rice syrup, agave, corn syrup, etc.)? 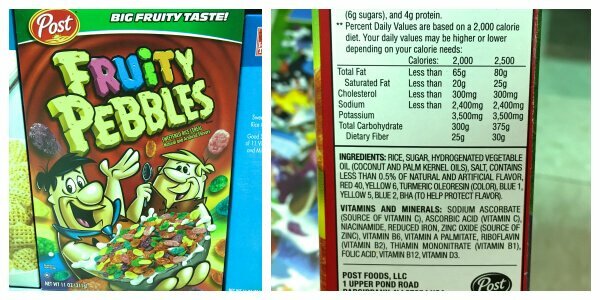 If so, how high up is it on the ingredient list and how many grams of sugar are listed on the nutrition label? Ideally I prefer options with no more than 2 or 3 grams of added sugar per serving. The longer the list of ingredients the more (unwanted) additives a product likely contains! Shorter is better in most cases. There are of course so many things we could consider when looking at cereals, but based on my criteria …here’s how some of the more popular brands stack up! Is this post going to change what breakfast looks like at your house? I’d love to know the details in the comments! I was wondering the same thing. Just bought some this weekend and was surprised with the ingredients AND that it’s also non-gmo certified. 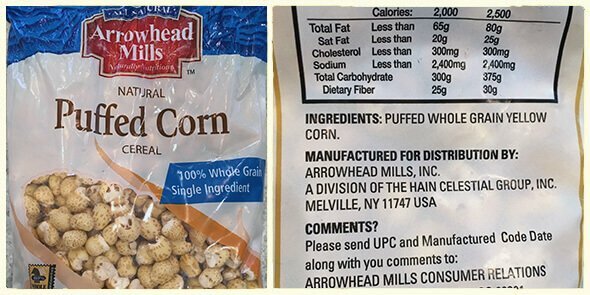 Puffed corn is best? Corn? While it’s all relative in health, I avoid corn as much as I avoid sugar. 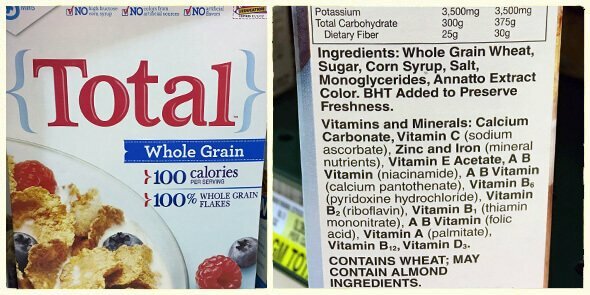 What about the BHT in all the cereals? Hi. BHT in the lining was not considered but Lisa obviously would prefer that BHT be gone. Her criteria is ingredients she would cook with at home. BHT is not one of those. I was just about to say the same thing about BHT, Cara. That one limits my choices for us. My daughter only ever gets Cheerios or Kix with the occasional Envirokids cereal thrown in because these don’t have BHT. 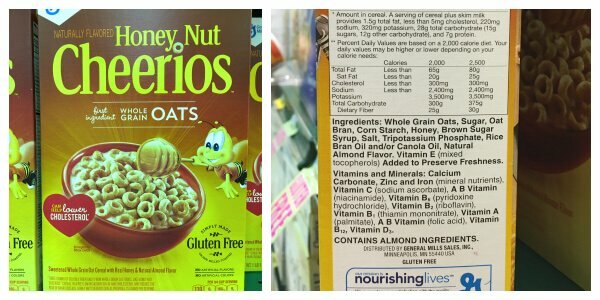 My question to General Mills is… if you can leave it out of Cheerios why not Honey nut Cheerios & Life??? This is all new to me, so I need all the help I can get! I need a clean high fiber cereal to eat just once or twice a week. Should I make my own or search for a store-bought boxed cereal? If store-bought, please tell me what to look for in the ingredients or exactly what to buy! I will order it if my store doesn’t carry it. I’ve looked several times and it’s all so confusing to me. Hi there. Lisa’s favorite is her granola: https://www.100daysofrealfood.com/2010/04/04/recipe-granola-bars-cereal/. What do folks think of heritage flakes (natures path)? Heritage Flakes is our go to cereal! I eat it plain with milk or yogurt and my kids eat it mixed with Cheerios (since I can’t get them to eat the cleaner Os). Thanks very much for this! I’m pregnant and cereal settles my stomach. I was glad to see one of my staples on your “Better” list, though I look forward to resuming my old breakfasts. :) I was surprised to see Barbara’s Puffins on the “Bad” list, as we’ve bought this for our kids as a sweet treat a couple of times based on a recommendation from another healthy eating blog. 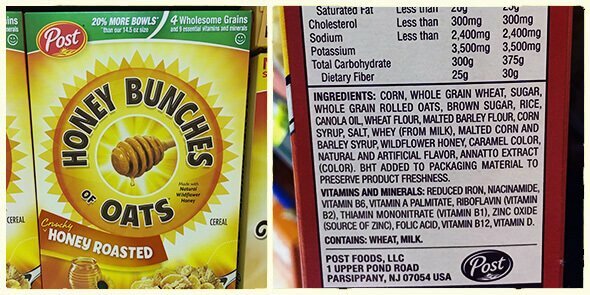 Expensive, sugary, and, I now see, lower in whole grains than refined — this definitely won’t be on our shopping list again any time soon. Thanks again! 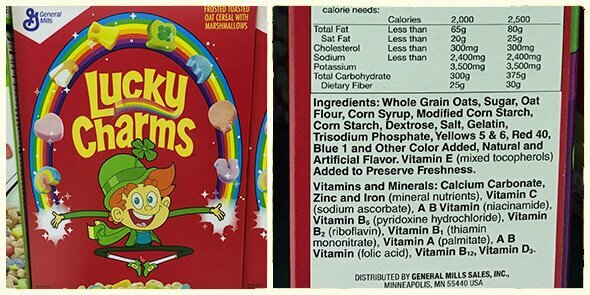 Hi , i wonder why a paint thinner and cleaning agent ”Trisodium phosphate” in Lucky Charms and others cereals would make a score of ”better” and ”bad”? It contredicts your rule number 1; and criterias should not be only the percentage of sugar but the sum of the ingredients . Thanks to you, we have made a lot of changes to our eating! We used to have a wide variety of cereals on the counter but now we watch. 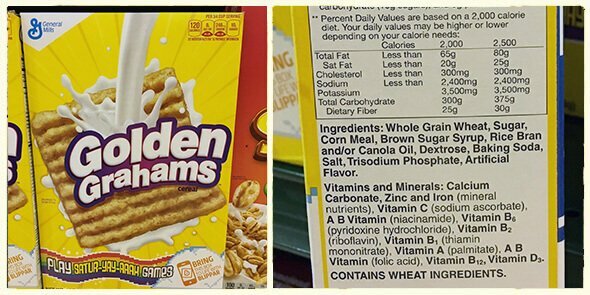 The rule is one box at a time and nothing with sugar in the first few ingredients. We are still a work in progress and some weeks it is much easier than others. I have to admit that initially we cut out all cereals, except for oatmeal. That and “milkshakes” (smoothies) were breakfast. Hi Lisa I appreciate this information. My son’s favorite cereal is honey nut cheerios. He would happily eat it 3 meals a day. It will be an adjustment to change his cereal habit, but worth it! I would rate Ezekiel as “best”; not “better”. It has no added sugar. Most of that sugar comes from the raisins. Why is it not amobg the “best”? Because of the 8 grams of sugar I suspect. I’d say the sugar is from the raisins, which is natural sugar so I don’t know why it isn’t listed as best. Isn’t dehydrated whole fruit better than added sugar? 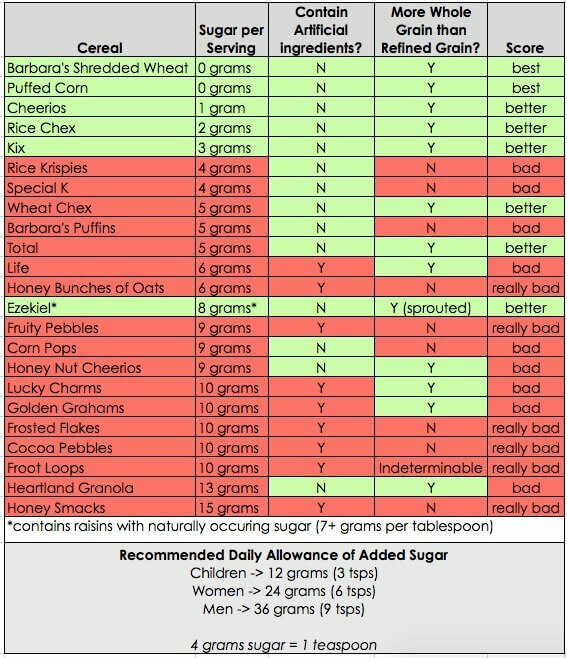 Added sugar is definitely more undesirable.than dried fruit but we do look at overall sugar. 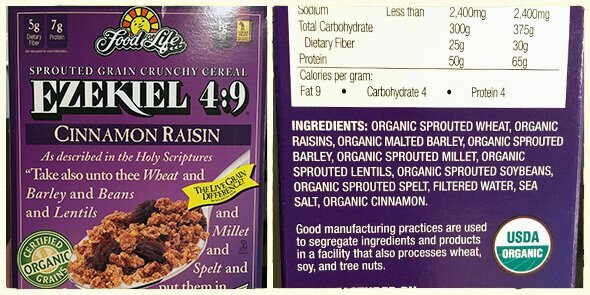 As I read the criteria, Ezekiel’s without raisins (original) would be on the best list? It’s also sprouted and organic, which some might argue would give it a leg up on the others. 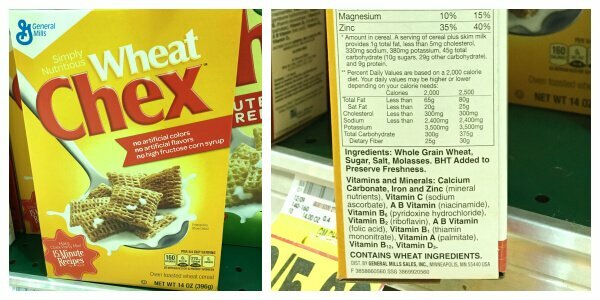 Chex has bht which is grounds for a bad in my book also I was looking over chex ingredient list a few weeks ago and I could have sworn they list had corn syrup? Did the change the ingredients and it use to be sugar? It is not unusual for the ingredients to change. I don’t really like cereal much, but I need a bit of sweetness to my cereal if I’m going to have it. Shredded Wheat and Puffed Corn may be the “best,” but paint chips have more flavor. And also, wouldn’t Puffed Cord be made out of GMO corn? At any rate, I’ll stick to the “better” options, because life is too short not to have a few raisins in your cereal, darn it. AMEN! Anyone that thinks factory made anything is “good” is misled. yeah. 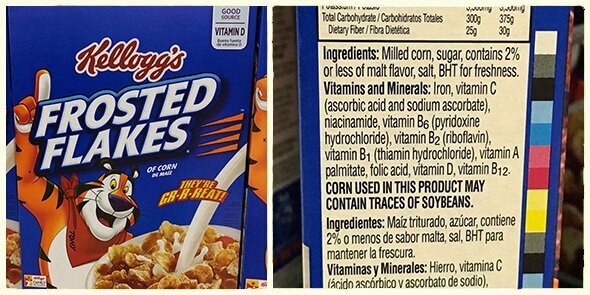 We do try to add plain cheerios to our cereals to help cut the sugar content (or a corn flakes type for the “natural” frosted flakes etc. kix to peanut butter puffs etc) but when I eat cereal I don’t want to eat something that tastes like nothing. Personally…. I try to stay away from the long list ingredient cereal. I don’t even eat it often at all. But I have found one that contains 4 ingredients. KASHI CINNAMON HARVEST. I recommend it. Organic Whole Grain Wheat, Organic Dried Cane Syrup, Organic Cinnamon, Natural Cinnamon Flavor. Thanks for the interesting post. I live in France and I just looked at a box of Rice Krispies. 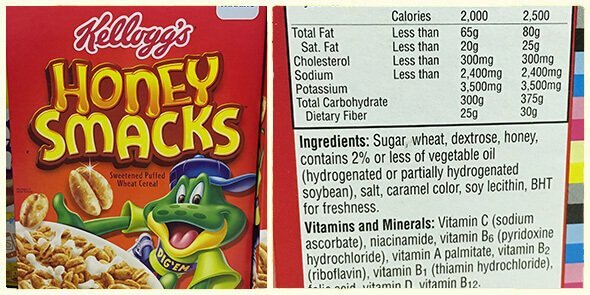 The sugar content is only 2.4 g for a serving of 30 g. What is the serving size on American cereal boxes? Is it possible that this cereal is not the same around the world? It was made in the EU. 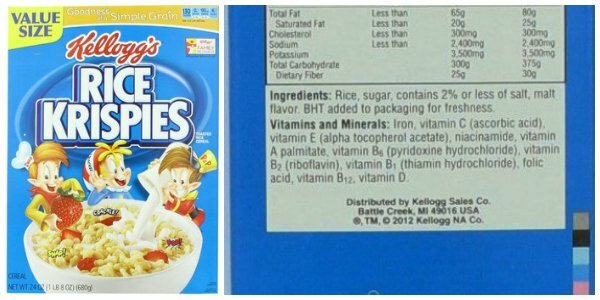 Here is the US version: http://www.ricekrispies.com/products/rice-krispies-cereal. I thought there was no dairy in your 100 Days? How can I eat cereal. I like Grapenuts. I am going to have to check the box. Nope, no ban on dairy here. Lisa uses organic (and grass-fed) dairy when available. Grape Nuts are a go to in our house. My 6 year old loves them with milk or on plain yogurt with a little maple syrup and fruit. Homemade granola is the best or good old fashion bowl of oatmeal with fruit. what about these cereals? they’re new but so good…..tried the cocoa clusters one on a whim seeing em at a big lots a while back and loved them….was like cocoa pebbles or cocoa puffs except much better for you. could even make a homemade version of count chocula with it if you wanted to. I actually went through our cereals and did a sugar to weight ratio, which I think was more helpful than just a grams per serving. My son eats plain Cheerios. I can’t see why anyone would feed their kids any of the cereals on the worst offenders list. Anything that looks like candy should not be fed to anyone for breakfast. It breaks my heart to see what kids are eating today. Wow this is bad cereals wic approves is bad too. Honestly!! I have a 13 year old with ADHD who likes his morning cereal and I have tried everything – and I mean EVERYTHING that doesn’t contain crap and he wont eat it. What is a mom to do? He doesn’t like eggs… He grows tired of Ezekial bread with santa cruz organic PB. I am so FRUSTRATED!!! Grrrr… Not a helpful post, but any ideas would be great! Hi Lynnie. Have you given Lisa’s granola a try: https://www.100daysofrealfood.com/2010/04/04/recipe-granola-bars-cereal/. 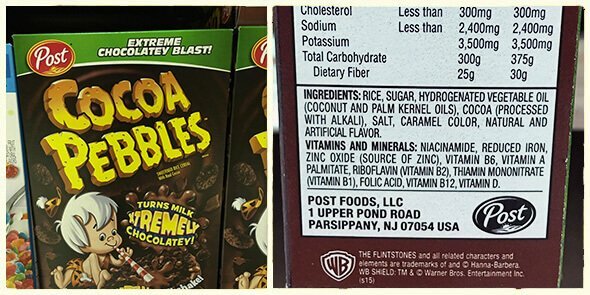 I am frustrated because I see that I feed my daughter one of the worst cereals, but she has food allergies and it took me forever to figure out a cereal she could even eat. I feel like if I cut out some bad things, I would have nothing to feed her. What do you think of grape nuts? Hi there. While its shorter ingredient list is better than most, it still doesn’t fall within the 100 Day rules. Here are the ingredients: whole grain wheat flour, malted barley flour, isolated soy protein, salt, whole grain barley flour, malt extract and dried yeast. 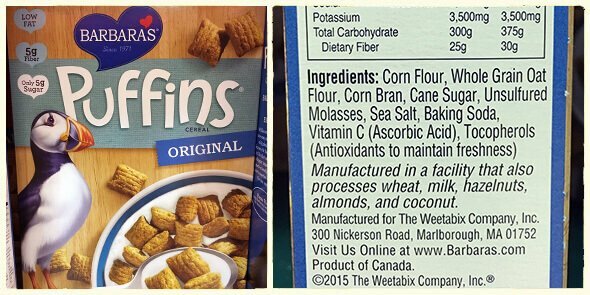 Interesting – my box doesn’t list all of those ingredients. 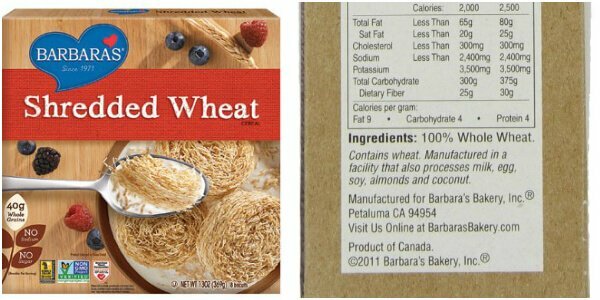 It only lists whole grain wheat flour, malted barley flour, salt, dried yeast. It is totally possible that they have reformulated. So, given the new formulation, how would Grape Nuts fare on the cereals chart? *sigh* I love the taste of Grape Nuts but I ALWAYS choke on them! If people are concerned about what to feeds kids for breakfast there is another options. Don’t make breakfast. The standard American diet is horrible in general and the cause of so many issues. There are plenty of other countries out there that don’t have breakfast options, they just have food in the morning. Make brown rice, eat beans. Eat what you do for lunch or dinner. Food is food. No need to have traditional breakfast foods. My child does not have a choice when it comes to food. We stopped eating cold cereal years ago. Breakfast is generally organic oatmeal or Farina, organic toast and eggs or as a rare treat I’ll make French Toast. Leftover dinner is also an option. Unfortunately you failed to include the most recent research on glyphosate in your “rating” of cereals. 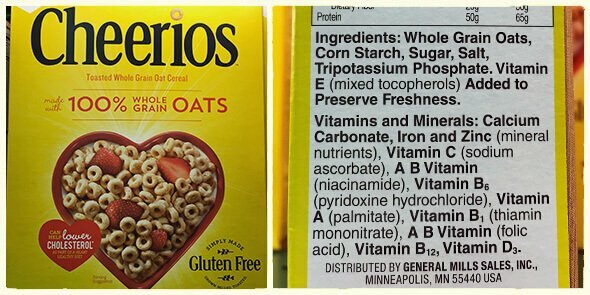 Cheerios contains over 1100 ppb of glyphosate – the highest glyphosate containing food found. As it is now known that both oats and wheat are being doused with Round Up just prior to harvest, the shredded wheat labeled “best” is likely highly contamineated with glyphosate as well. And how in the world could genetically modified, puffed corn be good for anyone? The puffing itself is bad, the corn not nutritious, and the genetically modified part unknown, not to mention the likely glyphosate content due to it’s being genetically modified. 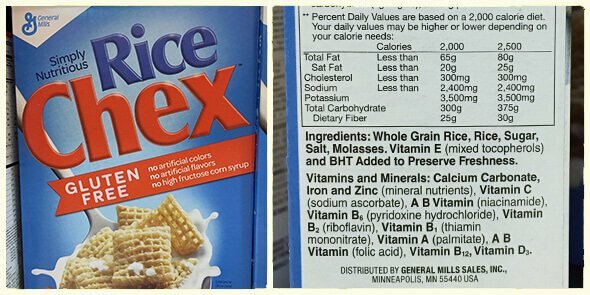 I’m surprised the BHT in Chex is not considered an artificial ingredient. I would highly suggest to remove KIX from the better list. It contains Trisodium Phosphate. TSP is a chemical used to breakdown paint and other things. TSP is a very very very harmful chemical if eaten straight out the box. These people put it in our cereals. I find it crazy that the FDA allows such a harmful chemical in our food. 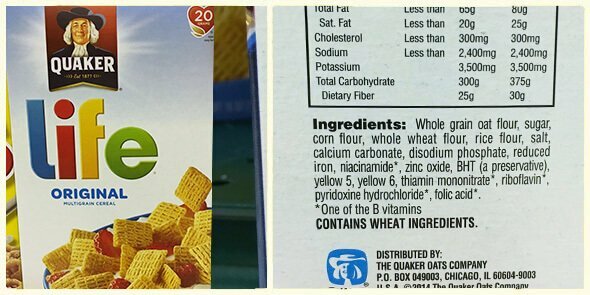 How about the pesticides found in say, Quaker Oatmeal and Cheerios among many others? It’s the stuff in Round-up. I’ve read that Kashi and Cascadian brands have less, maybe organic too. What a world we live in. Yikes. Our go to when we have to eat cereal is Weetabix. Can you not get that in the U.S? Have you tried puffed kamut? I highly recommend looking into it.